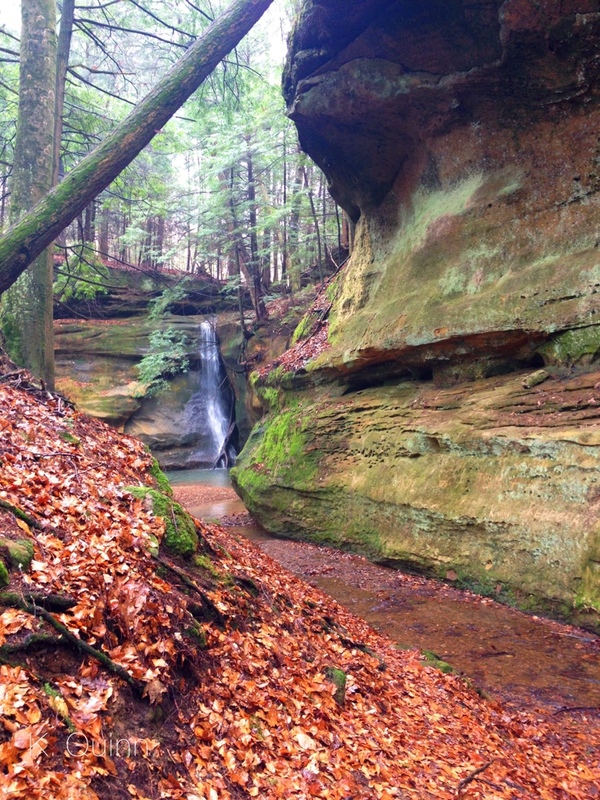 About a half hour north of Hocking Hills State Park is Rock Stalls Natural Sanctuary. It is owned by Camp Atika and they graciously allow the public to visit. 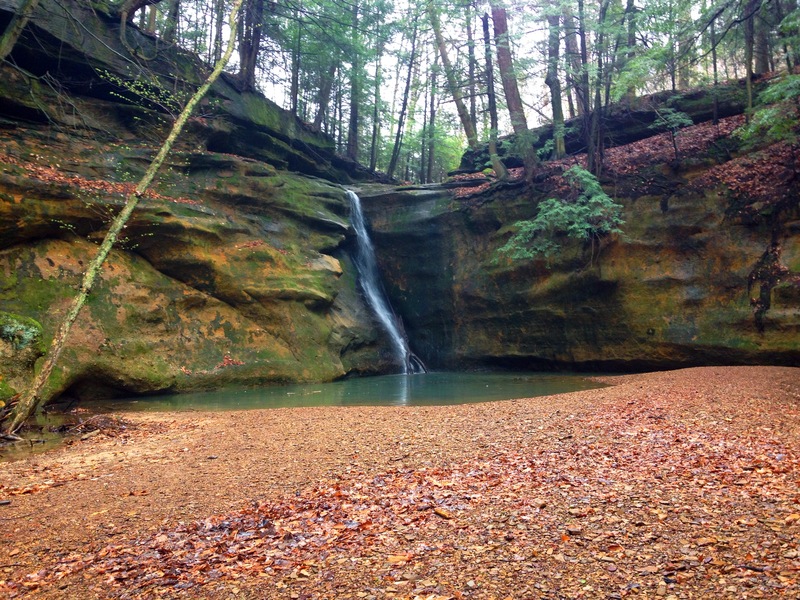 While this site is not part of Hocking Hills region, it is just a short drive and definitely worth it. 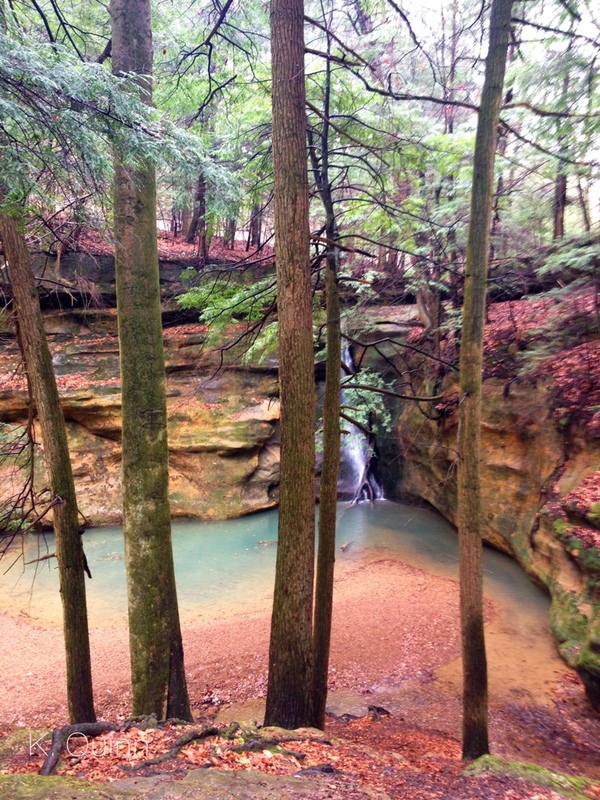 I am actually going to say that out of all the hiking we did on our trip to Ohio, this was my favorite hike. 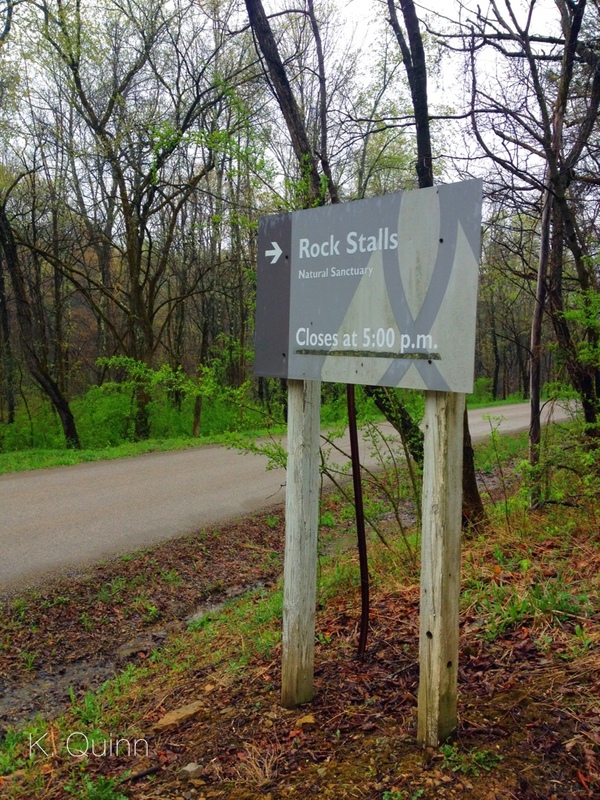 If you are driving north on Rock Stull Road, you will see a sign for the parking lot on the right side of the road. 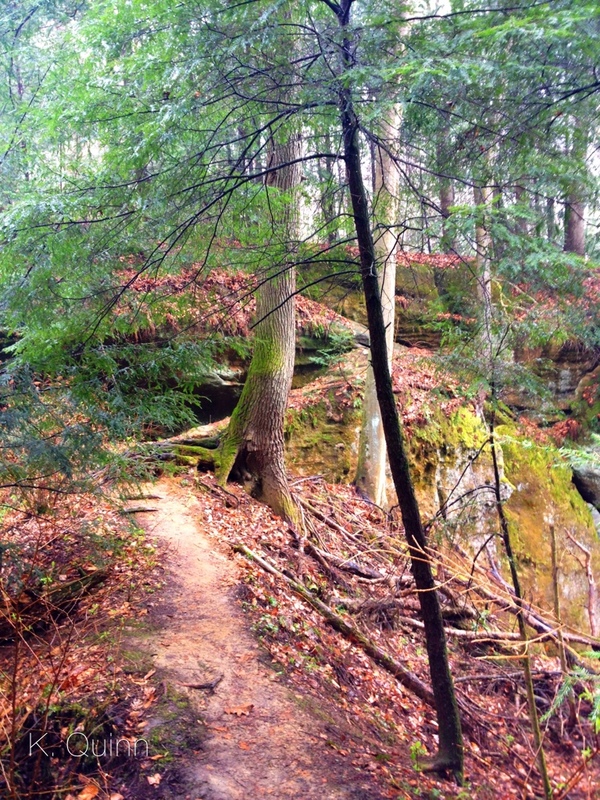 A small trail leads away from the parking lot and into the woods. 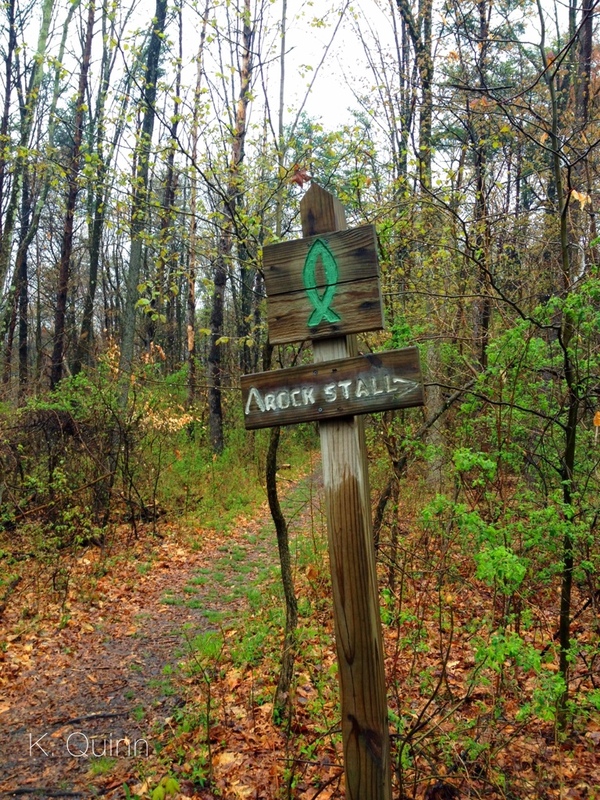 After a short hike, you will come upon a sign indicating the trail goes straight or right. We decided to take the trail to the right. The trail winds downhill for a bit, crossing a creek several times. There is a small sign indicating that the falls are to the left, but if you look to the right, you can see a small waterfall. 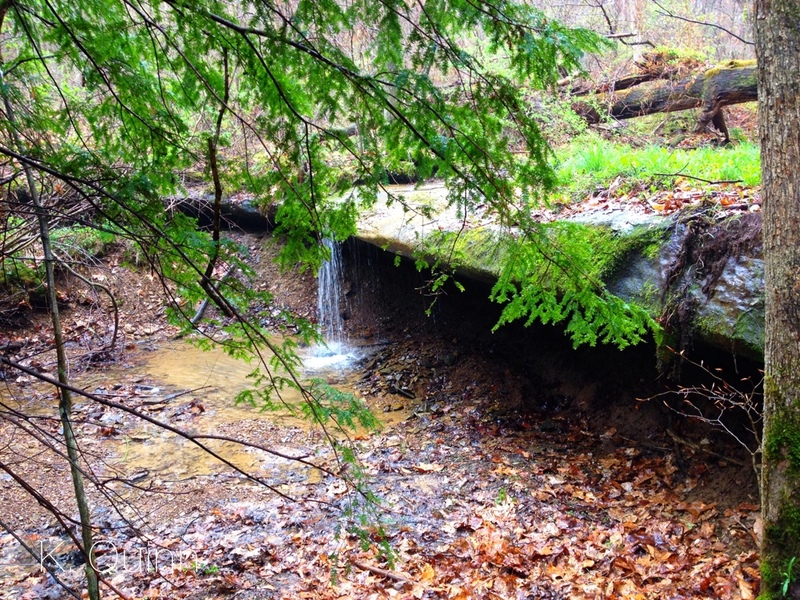 This creek creates a larger waterfall below. From here, we followed the trail to the left and then you will find some stairs that go up and go down. We took the stairs down into the canyon. The stairs that lead upward create a loop with the sign from earlier. The gorge is beautiful. You are surrounded on both sides by large rock walls and a creek gently snakes through. 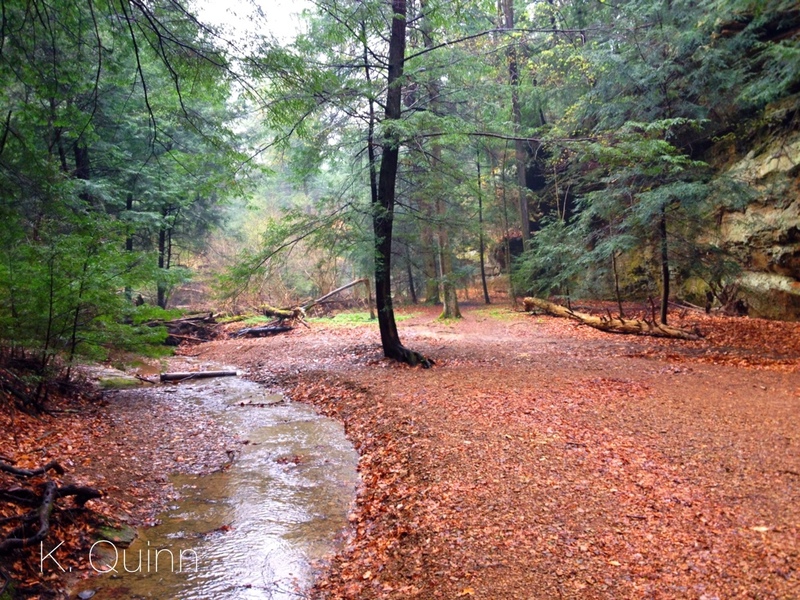 While we were there, we had the trail to ourselves so it felt so inviting and peaceful. We followed the creek back to the waterfall, crossing it several times. At the end of the gorge, tucked back into a corner is a beautiful waterfall. To the right is a large hill covered in roots, but to the left of the hill is an opening that leads to another waterfall. From here, there is two ways out of the gorge. 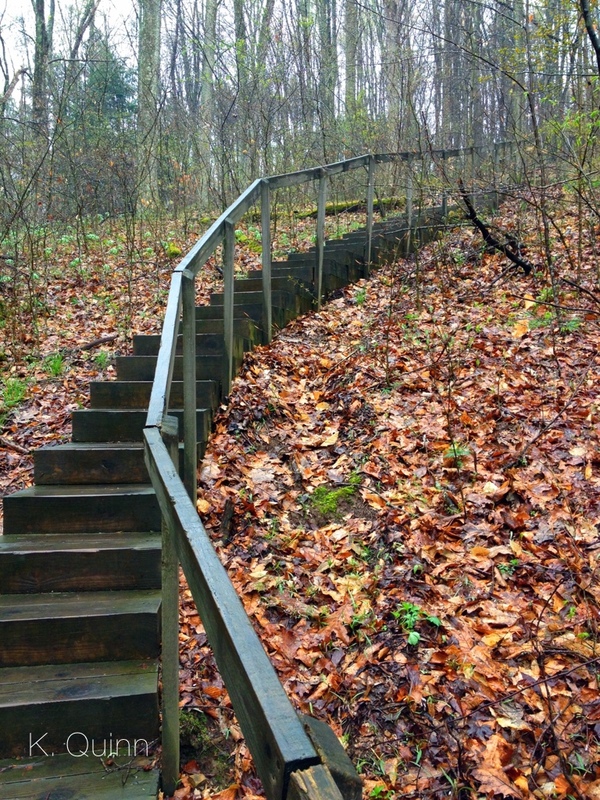 You can walk back to the stairs or for a bit more of an adventure, you can climb the hill with all the roots. There is a faint trail that leads along the ridge and there are very small stairs carved into the side of the rock outcropping. This will lead you back up the main trail. I took a couple of panorama pictures of the area. Click on them to make the bigger. 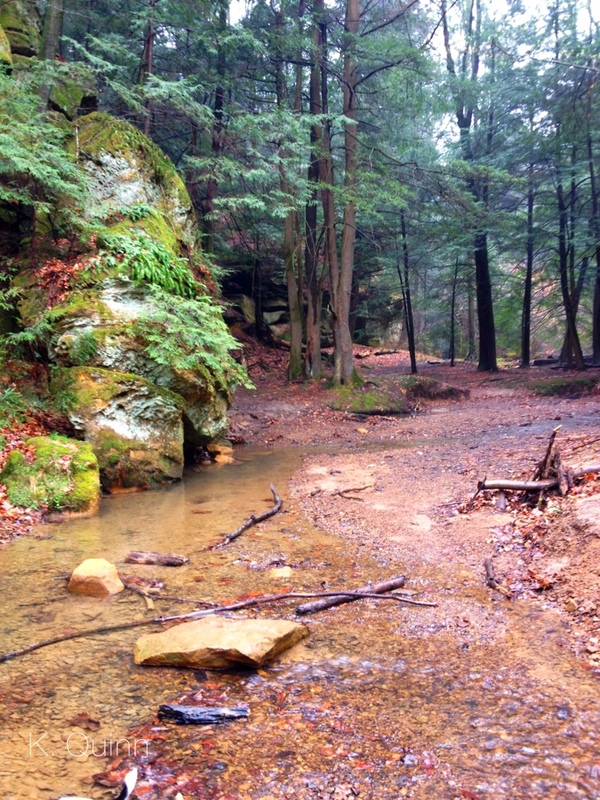 I found this hiking spot from the Trek Ohio blog. They have so much great information on hiking in Ohio. Be sure to check it out! 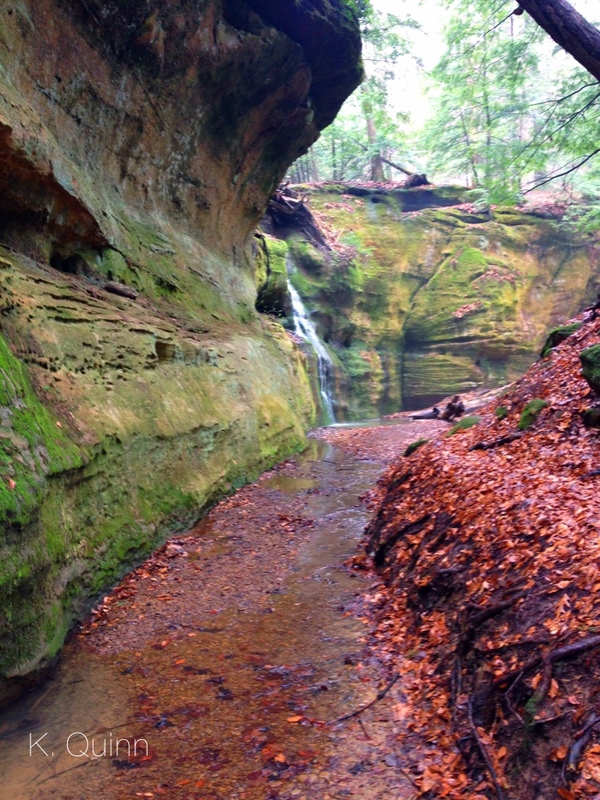 Rock Stalls is a beautiful area and a relatively easy hike. 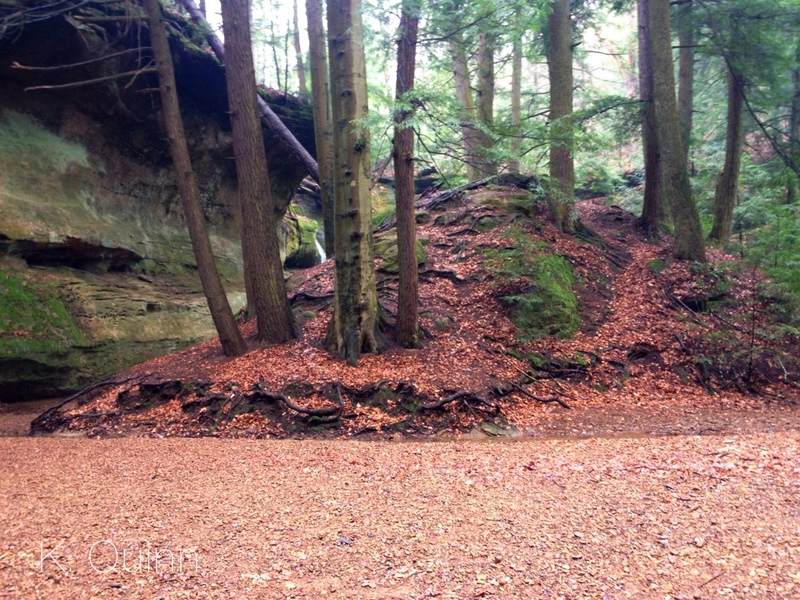 Be sure to check it out if you visit Hocking Hills State Park or are near Logan, Ohio. Photos 11 and 12 are my favorites!